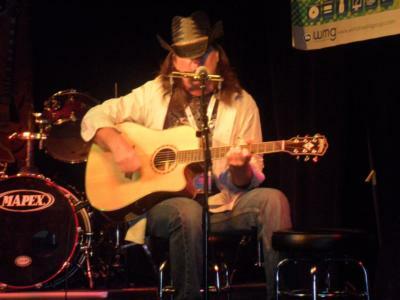 Dusty is a high energy solo/acoustic guitar/harmonica act specializing in Baby Boomer parties and events. He holds true to his sacred roots of Classic Oldies Rock & Roll, Motown, Classic Country, and American Folk. These immortal sounds are not only what the Baby Boomer generation grew up with, but they're also the songs they helped create. Dusty's style and song list is unique and eclectic with unforgetable songs ranging from such Classic Rock greats as The Who, Badfinger, REO Speedwagen, The Pretenders, The Cars, Bob Seger, Neil Young and Joe Cocker; to 50's & 60's early Rock & Roll such as The Drifters, Johnny Rivers and Roy Orbison; to Soft Rock greats such as James Taylor, The Eagles and The Beatles; to upbeat Classic Country essentials like Johnny Cash, Willie Nelson and Marshall Tucker; to timeless Folk Classics such as Arlo Guthrie, Peter, Paul & Mary and Bob Dylan - and just about everything in between! And of of course, Dusty offers up some of his own award winning, upbeat original songs too. 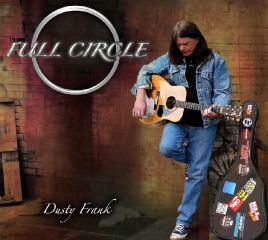 Dusty Received the 2010 Collective Works Songwriting Award in "Song Of The Year" For His Full Circle Album! Not only is Dusty incredibly talented, he is also very prompt, accommodating, professional, and reliable. He prepared for a special song request that turned out to be beautiful - it made our wedding day unforgettable. Everyone who was in attendance was impressed by him and I look forward to any opportunity I have in the future to work together. Dusty was great! He arrived early, set up quickly and started exactly on time. He was a gentleman every step of the way from the very first email contact to the moment he said goodnight and left our home. He was the life of our party too, especially his last set when we all sang along with all the treasured rock and roll oldies. Almost all of my guests commented on how much they enjoyed his music. Some of my guests like Country music so Dusty played a very good Country music tribute set of Johnny Cash and Willie Nelson songs. None of us wanted the party to end. I would definitely recommend Dusty. We will use him again for sure. Thank you Dusty! Dusty was terrific. He especially plays and sings a lot of great rock songs, and our crowd -- ranging from twentysomethings to seniors --loved them all. The sound quality was perfect. If you like the songs on his playlist, you should hire him, as he does a nice job overall while adding distinctive personalized touches. We had about 70 people at our party, and Dusty made it a blast! We hired Dusty to play at my husband's company birthday party. Simply put, Dusty Rocks! Professional, courteous and accomodating. Great sound with professional equipment and a sweet harmonica! To sum up his performance I would think it to be impossible to listen to Dusty play and not smile (at least a little) from the classic heyday memories that flow with his unique repertoire. We will definitely use him again for our next party for sure. Highly recommended for anybody's party event! Please note Dusty Frank will also travel to Tallevast, Manasota, Longboat Key, Bradenton, Oneco, Bay Pines, Palmetto, Terra Ceia, Holmes Beach, Cortez, Ellenton, Bradenton Beach, Osprey, Parrish, Anna Maria, Laurel, Nokomis, Sun City, Venice, Myakka City, Ruskin, Saint Petersburg, Sun City Center, Wimauma, Apollo Beach, Englewood, North Port, Balm, Gibsonton, Port Charlotte.